Winning a World title is nothing new for Viswanathan Anand. Yet, he was overjoyed when he won the World rapid chess championship at Riyadh a few days ago. For, he did it at the age of 48 and at a time when many had written him off. Little wonder he rates the title up there among his most cherished memories. That triumph, in fact, remains one of the finest performances in Anand’s long career. It had come just a few months after his eminently forgettable World title match against Magnus Carlsen in his hometown of Chennai in 2013. He had shown remarkable character to bounce back to win what was a strong Candidates event — it determines the challenger to face the reigning World champion — and silence his critics who felt his best years were behind him. Three years later, there were even more people who wondered aloud whether it was time for him to quit. But, over five days and 38 games at Riyadh, he proved that his chess was still in fine shape. He just lost one game on his way to the rapid title and the bronze medal at the blitz championship. Looking back at his campaign at the Saudi Arabian capital, he said there were many games he was happy with. He said he was also particularly fond of his second-round victory against Peter Leko. “It was a nice game with all those sacrifices,” he said. There was a strong Indian contingent at Riyadh. And they were there largely because of the revolution in Indian chess spearheaded single-handedly by Anand’s success at the international arena. 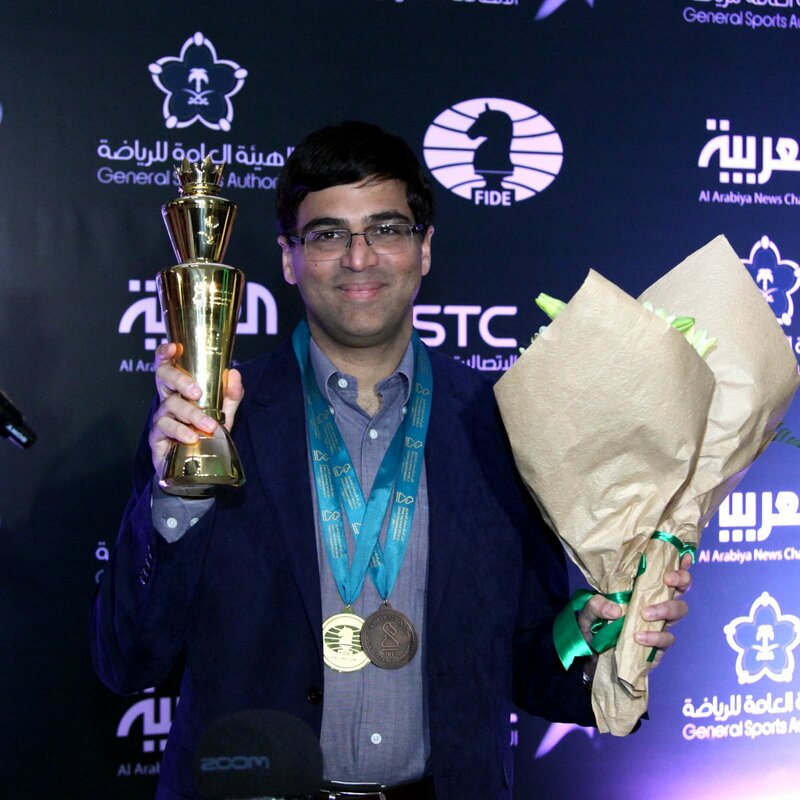 Previous Vishy Wins Rapid Chess Championship title After 14 years !! !